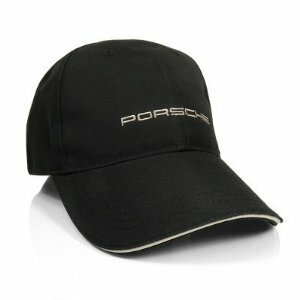 Porsche Classic Black Hat made of 100% cotton. 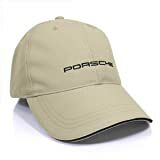 Khaki Porsche lettering is embroidered on the front crown. A khaki sandwich brim lining helps to contrast this well made cap. In the back is an adjustable strap with a silver metal clasp. The clasp has Porsche lettering on it. All caps come pre-bagged from factory. One size fits most! 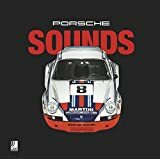 Licensed by Porsche. 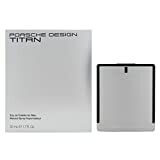 Drivers’s Selection by Porsche Design.